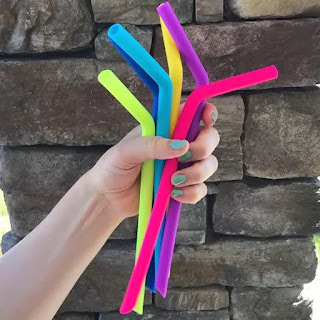 Head over to get a Set of 2 Silicone and Steel Straws for ONLY $3.99 (Retail $10.99)! Enjoy a thick smoothie or milkshake using one of our silicone straws, or an ice-cold drink with a stainless steel one. Get the best of both worlds by choosing one of each, or stick to one style. Both straw styles are great for whatever drink you choose.